The test lasted 260 seconds with power levels at 113 percent for 50 seconds of the test. 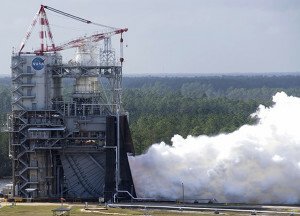 This was the third full-duration test conducted on the A-1 Test Stand at Stennis this year. 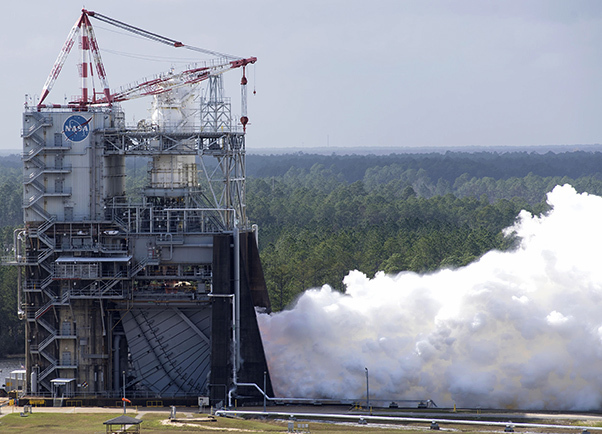 NASA has been using the stand since January 2015 to test RS-25 engines for use on its new SLS rocket. Four RS-25 engines will help power SLS at launch, supplying a combined 2 million pounds of thrust and working in conjunction with a pair of solid rocket boosters to provide more than 8 million pounds of thrust. RS-25 engines are former space shuttle main engines, which were designed more than 40 years ago to provide a specific power level, categorized as 100 percent thrust. 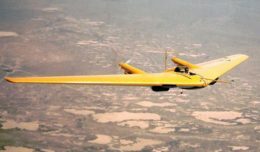 Through the years, the engines were modified to provide additional thrust to 109 percent of its original designated level. For the larger, heavier SLS rocket, the engines are being modified again to operate at 111 percent of their original power level. Increased engine performance is crucial for enabling SLS missions to deep space as the rocket evolves to be larger and carry astronauts and heavy cargo on a single flight. The SLS rocket was designed for missions beyond low-Earth orbit carrying crew and cargo to the moon or beyond. The initial configuration for what SLS can carry past low-Earth orbit and on to the moon is more than 26 metric tons, with a final configuration of at least 45 metric tons. All SLS configurations are powered by four RS-25 engines attached to the 212-foot-tall core stage, the backbone of the rocket being built at NASA’s Michoud Assembly Facility in New Orleans. In addition to achieving the higher thrust level, the Feb. 21 hot fire also featured a test of an RS-25 flight controller, as well as a 3D-printed engine component. The new flight controller is a major part of the RS-25 modifications, operating as the “brain” of the engine to help it communicate with the SLS rocket and to provide precision control of engine operation and internal health diagnostics. NASA also has been testing a 3D-printed pogo accumulator assembly for the RS-25 engine. Testing of the 3D-printed component is part of an ongoing effort to use advanced manufacturing techniques and processes as a means of reducing engine construction costs to make SLS more affordable. NASA and RS-25 engine manufacturer Aerojet Rocketdyne plans to test a number of 3D-printed components for the RS-25 engine. The recent hot fire provided a key maximum flow level test of the current 3D component. Each RS-25 test moves the agency closer and closer to its return to deep space exploration, to such destinations as the moon and Mars. Earlier this month, the space agency completed testing of all four new RS-25 engine flight controllers needed for the second flight of the SLS rocket. The Exploration Mission-1 (EM-1) flight will test the new rocket and carry an uncrewed Orion spacecraft into space beyond the moon. Exploration Mission-2 (EM-2) will be the first flight to carry humans aboard the Orion spacecraft, returning astronauts to deep space for the first time in more than 40 years. In addition to testing RS-25 engines and flight controllers at Stennis, NASA is preparing to test the actual SLS core stage for the EM-1 mission at the south Mississippi site. The testing will involve installing the flight stage on the B-2 Test Stand and firing all four of its RS-25 engines simultaneously, as during a launch.